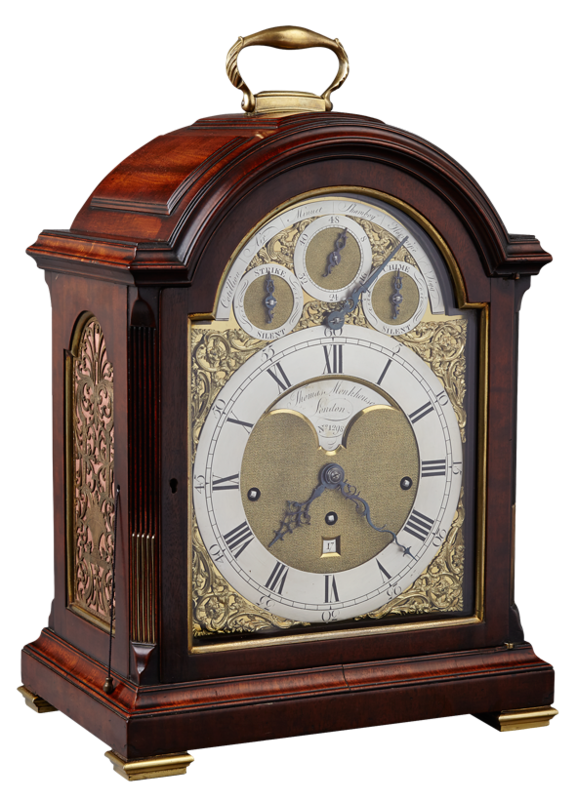 A good and fine quiality 18th century George III mahogany musical bracket clock playing from a choice of 6 dances every third hour playing the selected dance three times. 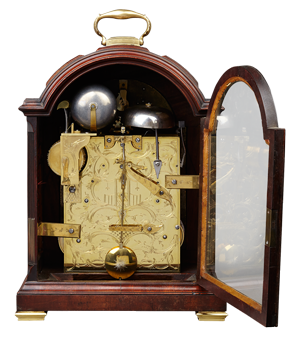 The substantial movement with verge escapement and playing the selected air on 12 bells. 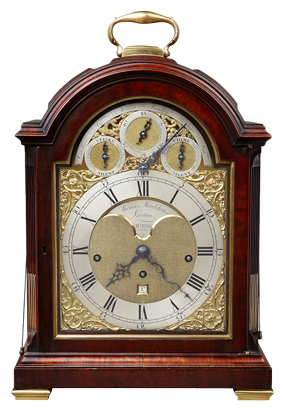 The arched dial with the six melodies engraved on a semi-circular chapter ring above three subsidiary dials for strike/silent, chime/silent and regulation. 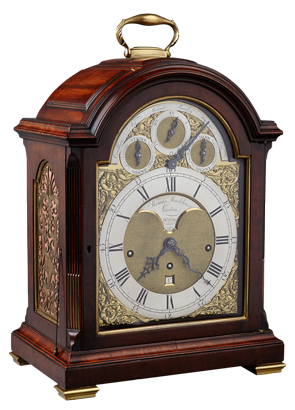 The dial centre engraved with the makers signature and numbered 1298 on a silvered fan cartouche, all dials set within fine gilt spandrels, the backplate with pagoda and floral engraving. 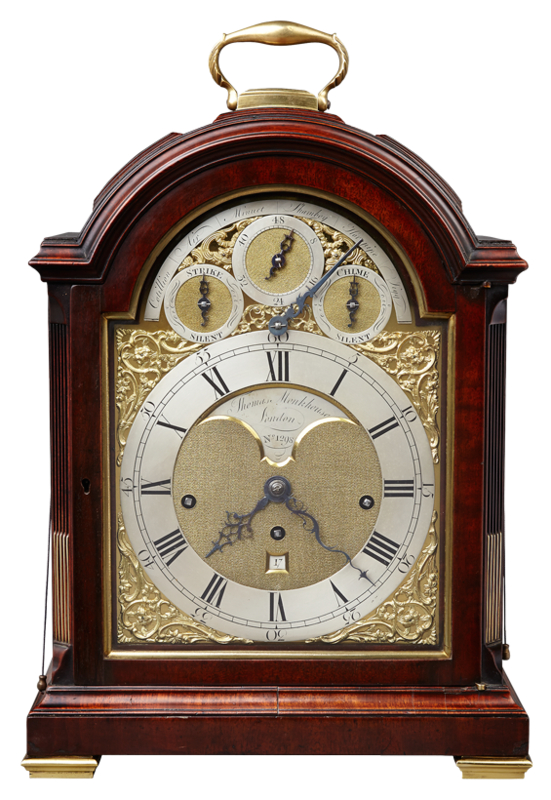 The break arched mahogany case with reeded angles and three raised panels surmounted by a gilt brass carrying handle.